Mike Clarke represents Townships, Water and Sewer Authorities, School Districts and other governmental entities in Montgomery and Bucks Counties. Mike is currently Solicitor for Abington Township, Falls Township, Plymouth Township, Borough of Conshohocken Authority, North Wales Water Authority, Schwenksville Borough Authority, Upper Merion Transportation and General Authorities, Whitemarsh Township Authority, Borough of Conshohocken Zoning Hearing Board, William Jeanes Memorial Library, Montgomery County Orphans Court and Register of Wills Office, Montgomery County Tax Claim Bureau, Norristown Area School District, Pennsbury School District and Colonial School District. Mike also serves as Solicitor to the Civil Service Commissions of Central Bucks Regional Police Commission, Conshohocken Borough, Morrisville Borough, Municipality of Norristown and Narberth Borough. Mike serves as Special Counsel to George School, East Norriton Township, Montgomery County Development Corporation, Montgomery County Outside Legal Counsel, Municipality of Norristown, Nockamixon Township and Upper Perkiomen School District. Prior to joining the Firm, Mike worked for a litigation firm in Philadelphia where he specialized in personal injury cases and business litigation. 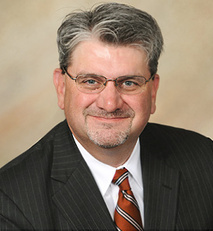 Mike has litigated cases in eight counties in Pennsylvania as well as before the U.S. District Court, The Third Circuit Court of Appeals, the Pennsylvania Supreme Court, Superior Court and Commonwealth Court. Mike’s varied experience benefits his clients who are seeking innovative solutions to complex problems. Member, School Committee, Plymouth Meeting Friends School; Member, Pennsylvania School Board Solicitor’s Association; Member, Pennsylvania Municipal Authorities Association; Member, Pennsylvania Association for Justice.